Does Brain Training Cure ADD/ADHD? Brain Training has made all manner of promises to hopeful ADD/ADHD sufferers. 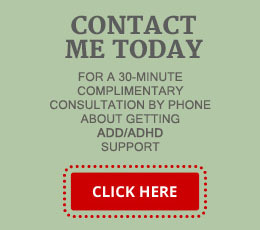 Those with ADD/ADHD are always on the lookout for tools to help them. Several Brain Training apps and programs have marketed themselves as a catch all treatment of neurological and mental problems – including ADD/ADHD. What are Brain Training Programs? Lumosity, CogniFit, Cogmed and Jungle Memory are all examples of apps that claim to help improve brain function, specifically the area of working memory. The theory is that, when you improve your working memory, other parts of the brain improve as well. So for example, if one’s working memory improves, those benefits will transfer over into other areas of life, such as school, the workplace and relationships. This would be great news for those with ADD/ADHD! The theory that improved working memory affects other parts of brain function has been widely accepted by psychologists for some time, though it’s not been proven. The question is: do apps like these help improve working memory as they claim? If so, do these benefits transfer into other areas of struggle? Can they be called a “cure” for ADD/ADHD? Research, Research and More Research. Lumosity is likely the most popular “brain training” app available today. Designed by a neuroscientist, it certainly seems like it’s got some valid claims for improved brain function. Their “research” shows promising results. The app even ranks your skills, and displays your “progress” as you play the game. Research teams at Georgia Tech were skeptical though, and they decided to attempt to recreate the findings and claims of the leading brain training products. They wanted to see how the supposed benefits transferred into real life. Their findings showed that, despite the fact that individuals improved their skills on the game, the skills they acquired did not transfer to real life. It did nothing to improve memory, concentration, focus, or any other piece of brain function. It simply made you better at playing the game. LearningRX and Lumosity have both been dealt judgments against their seemingly lofty claims that memory and cognition training will boost brain performance, and even income potential. Claiming to have scientific findings to back their results, it’s a “buyer beware” situation. Peppering advertising with the words such as all natural, research-based, science-based, miraculous, proven to cure may be alluring, especially for an audience that’s desperate to find quick and effective treatment. As much as I’d love to say that we’ve found a cure for ADD/ADHD, it’s actually not that simple. Brain training may be entertaining, but the research just doesn’t support the claims. For now, ADD/ADHD sufferers are better off using the first line treatment approaches such as medication, counseling, and coaching. Need more information or help? Contact me at The Taylor Solution. I’ll find the solution that’s right for you. I'm the parent and spouse of loved ones with AD/HD. I know first hand the frustration, fear and chaos you may be struggling with due to the distraction, disorganization and other behaviors that accompany AD/HD. It's a very real condition and don't let anyone tell you otherwise. As an experienced AD/HD Coach, I can help you manage the AD/HD challenges, whether you are parents, a couple, adult or student by co- developing and supporting the solutions that work specifically for you. For more information contact me and see how together we can help change your life, or the lives of loved ones. © Copyright 2017 The Taylor Solution by Linda Taylor, Board and Certified AD/HD Coach · All Rights Reserved.